With over 20 years in real estate, Sandra knows exactly what it takes to get results for buyers and sellers alike. A Graduate of the Realtor Institute (GRI,) the hallmark of Sandra’s career has always been to serve her customers at a higher level. A great communicator with a passion for the Venice lifestyle, Sandra takes pride in building professional relationships that extend beyond simply the closing table.... more. 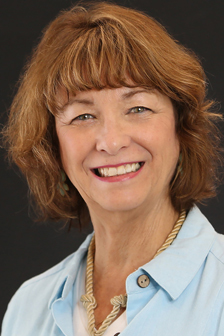 Having moved from the Gettysburg, PA, area to Venice, FL, Sandra understands the appeal of life on Florida’s Gulf Coast, and is able to provide trusted guidance to those looking to make the same move. Equally well, Sandra’s time-honored expertise in marketing and selling homes equips her with the skills to work seamlessly with sellers. Outside of real estate, Sandra enjoys bicycling, yoga and going to the beach. ...less.